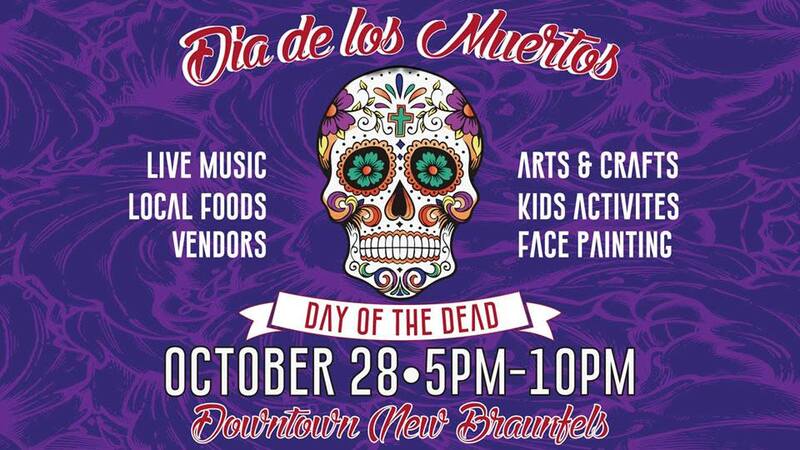 The Chamber’s New Braunfels Hispanic Business Alliance is hosting the 2nd Annual Dia De Los Muertos Festival on Saturday, October 28 from 5:00 to 10:00 p.m. in downtown on San Antonio Street. The festival is FREE to attend. This cultural event will feature local food, drinks, arts & crafts, an ofrenda (offering space) for honoring the lives of loved ones passed, vendor booths, shopping, and live entertainment.